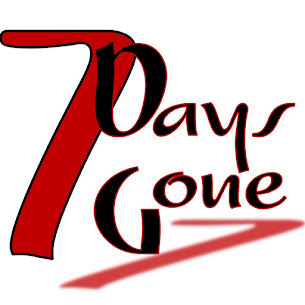 Seven Days Gone: Get a taste of our live magic!!! Get a taste of our live magic!!! Check out some of our latest videos - available on the "videos" link at the right, or right here on the Youtubes: Seven Days Gone videos! Three tasty tracks from recent shows. Everything from the Sunset strip in the 80s to aughts alternative melancholia grind!! !